书籍简介: Jim Cramer is the champion of the middle-class investor.Every night on Mad Money, he provides valuable information about stocks, steering investors away from danger zones and leading them to the investments that can turn a lackluster portfolio into a powerhouse of profit.In his new book, he shows investors how to take the advice on his TV program and put it into action. Cramer walks investors through the key decisions they have to make: understanding their tolerance for risk and defining their goals, doing the essential homework on a stock, and knowing how to buy and sell stocks the right way -- the Cramer way.This is a true nuts-and-bolts guide to investing, from Cramer's detailed discussion of the sort of homework investors must do to his own guidelines for knowing when and how to sell stocks. 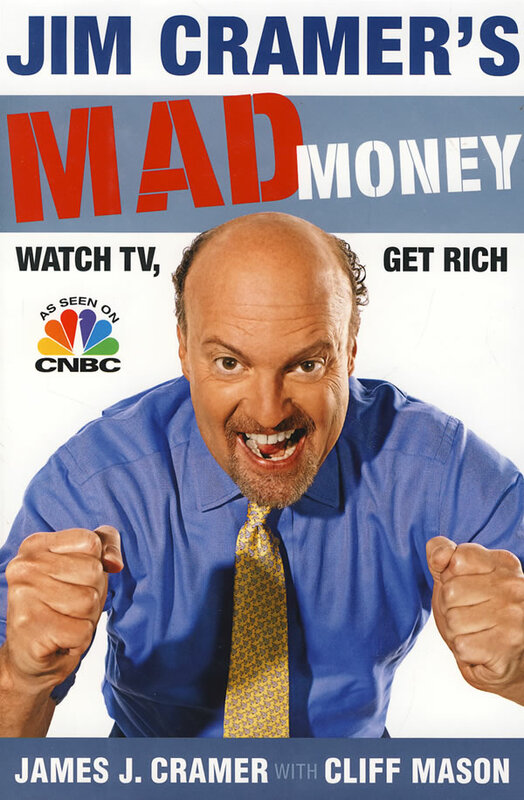 Mad Money is a hugely entertaining television program, but it also offers valuable information that can be the basis for a winning portfolio.Cramer shows how to turn the \\\\\\\\\\\\\\\\\\\\\\\\\\\\\\\\\\\\\\\\\\\\\\\\\\\\\\\\\\\\\\\\\\\\\\\\\\\\\\\\\\\\\\\\"Lightning Round\\\\\\\\\\\\\\\\\\\\\\\\\\\\\\\\\\\\\\\\\\\\\\\\\\\\\\\\\\\\\\\\\\\\\\\\\\\\\\\\\\\\\\\\" into a terrific tool for investing; it's stock-market strength training.He reveals how he can assess a stock in only seconds -- a valuable skill that every investor can acquire and put to good use.He explains what to look for in his CEO and CFO interviews, and how to use those conversations to make successful investment decisions.He reviews some of his best calls made on Mad Money, as well as some of his worst ones, to extract ten lessons from each that can profit every investor.And for the Mad Money junkies who just can't get enough, Cramer goes behind the scenes to explain everything from the reason behind his deliberate mispronunciations to his notorious chair abuse to the zany props and buttons that keep things humming. From the first \\\\\\\\\\\\\\\\\\\\\\\\\\\\\\\\\\\\\\\\\\\\\\\\\\\\\\\\\\\\\\\\\\\\\\\\\\\\\\\\\\\\\\\\"Booyah\\\\\\\\\\\\\\\\\\\\\\\\\\\\\\\\\\\\\\\\\\\\\\\\\\\\\\\\\\\\\\\\\\\\\\\\\\\\\\\\\\\\\\\\" to the last roar of the bull, Mad Money is every investor's favorite television program, and Jim Cramer's Mad Money is the book that can turn a TV program into a top-notch stock portfolio.